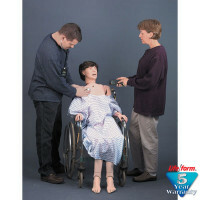 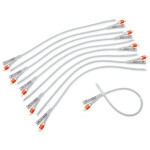 Ideal for teaching patients and caregivers the skills they will need to perform at home. Can be used to teach parents and caregivers basic tracheostomy care skills, and is used extensively with children to comfort them and improve their self-esteem. 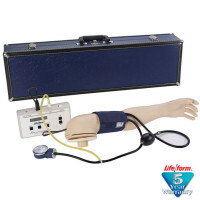 The Life/form Tracheostomy Care simulator comes with one tracheostomy tube, instruction guide, and hard carrying case. 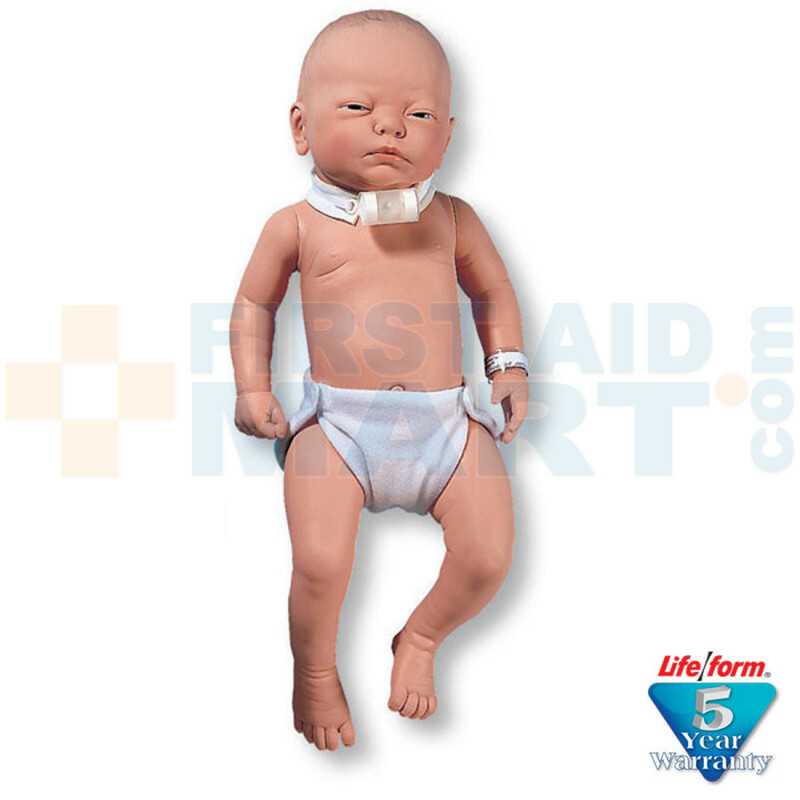 Infant / Baby Patient Education Tracheostomy Care Manikin - LF01167U.